Cloud Intelligence is a unique feature of Unity EdgeConnect. Silver Peak's Cloud Intelligence delivers real-time updates on the best performing path to reach hundreds of Software-as-a-Service (SaaS) applications, ensuring users connect to their applications in the fastest, most intelligent way available. 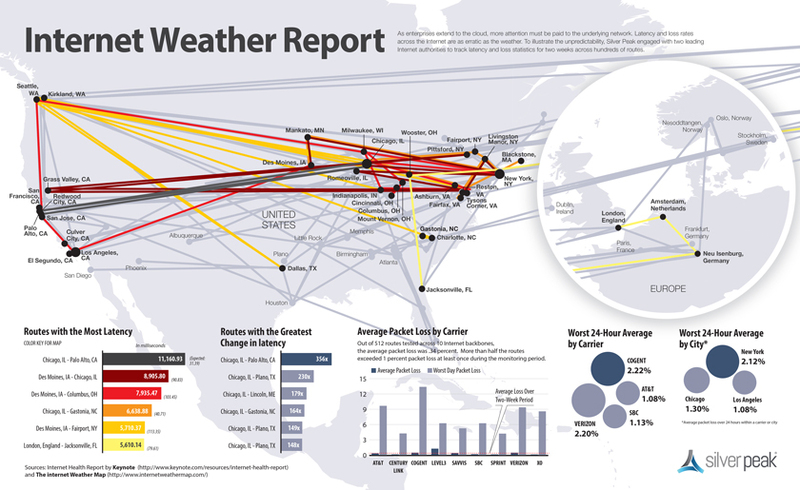 Optimally routing and controlling traffic over the Internet to cloud services requires a dynamic understanding of the cloud services themselves, and the ever changing Internet “weather” conditions. New SaaS applications are introduced every week. Service components and points of presence are regularly added to existing cloud and Infrastructure-as-a-Service (IaaS) offerings. It’s unfeasible for enterprise engineers to learn about these instances and update a delivery fabric accordingly. This is especially true given that they must also dynamically calculate latency and loss characteristics to new and existing points. The Internet may perform reliably as a whole, but at any given point of time, certain parts may be very congested or outright unavailable. In fact, research shows that even well performing routes within regions with well-developed Internet infrastructure will periodically encounter problems. 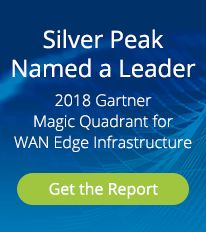 Silver Peak Unity EdgeConnect solves this problem with Cloud Intelligence. The service aggregates Internet weather and cloud information, distributing that information to all Silver Peak Unity EdgeConnect instances. In an ever-changing world, Unity EdgeConnect dynamically adapts as SaaS and Internet conditions fluctuate. Enterprises continue to move applications to the cloud. Knowledge workers now regularly use Software-as-a-Service (SaaS) applications such as Office365, Salesforce and Workday, access email from cloud-hosted services, store documents and backups on Box, Dropbox or the like. ERP and CRM systems are primarily cloud-hosted today. Enterprises increasingly choose Infrastructure as-a-Service (IaaS) solutions for lower costs while increasing IT agility.